Sometimes one-skillet meals are the way to go. 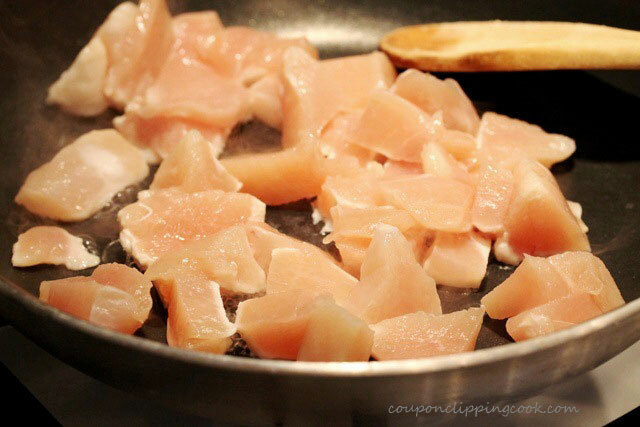 They’re quick and easy and one less pan to wash is an added bonus. 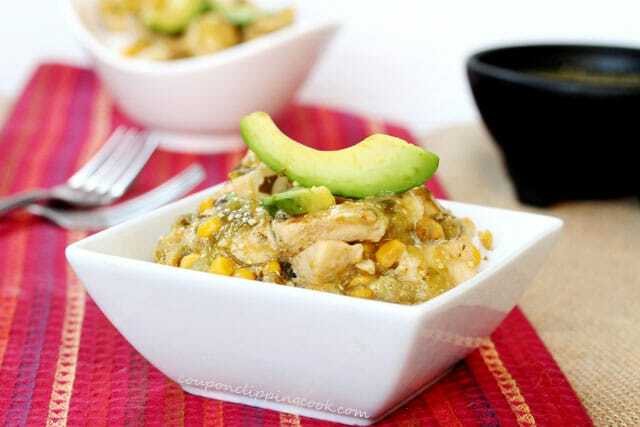 In this recipe green salsa is used for a sauce and it also gives the dish a delicious tangy and light spicy flavor. 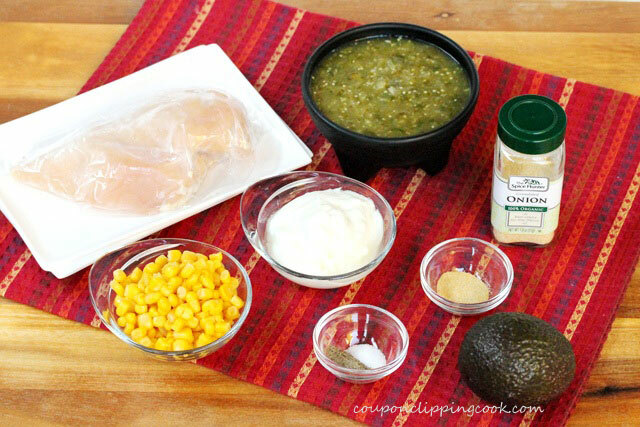 Here’s a recipe for Salsa Verde or green salsa, or bottled green salsa can also be used for this dish. This recipe can also be changed up by using other types of salsa. Here are more salsa recipes you may like “Roasted Garlic Tomato Salsa“, “Cilantro and Garlic Salsa“, and “Roasted Tomatillo and Green Chili Salsa“. Plain yogurt is included in the mix to add creaminess and richness to the sauce. 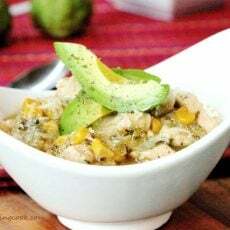 I especially like serving this chicken dish over rice because the sauce makes its way into the rice and it tastes so good together. Set ¼ cup yogurt out on the counter while making the chicken (so that the yogurt is at room temperature just before it’s added to the recipe). 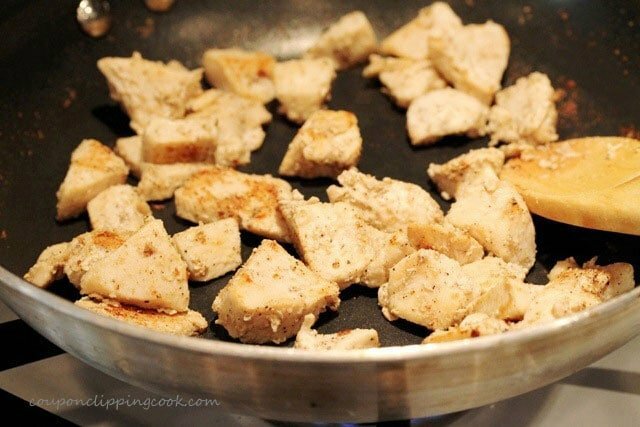 Heat a large non-stick skillet on medium heat and add the chicken. salt and pepper. Stir together. 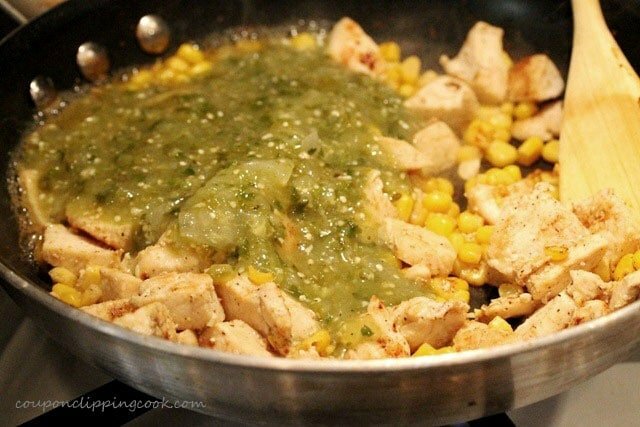 When the chicken is thoroughly cooked (about 5 to 7 minutes) add the corn, green salsa and stir. Turn the heat down to low and slowly add the yogurt (that’s at room temperature) stirring constantly. This should prevent the yogurt from separating into small pieces of curds and whey. 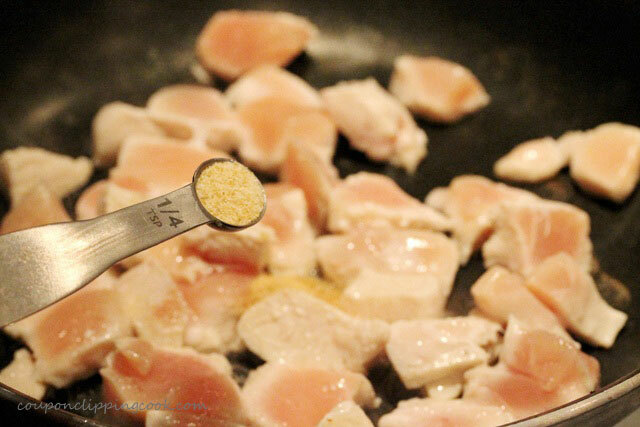 Stir in a little water or chicken broth (1/4 cup to 1/2 cup) until reaching the desired thickness. 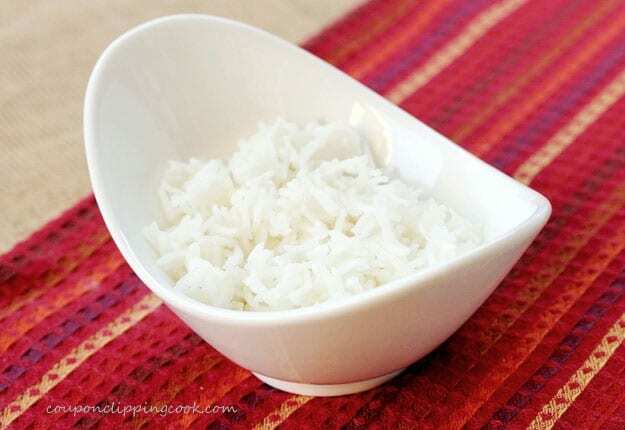 Serve warm over warmed cooked white or brown rice. Top with shredded Monterey jack cheese, slices of avocado, and a sprinkle of pepper. 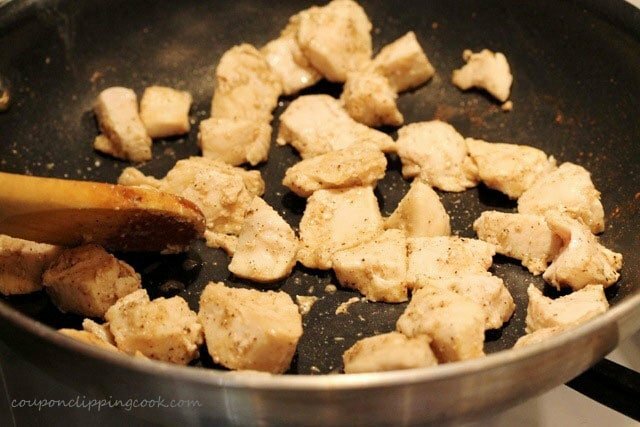 Heat a large non-stick skillet on medium heat and add the chicken, granulated garlic, onion powder, salt and pepper. 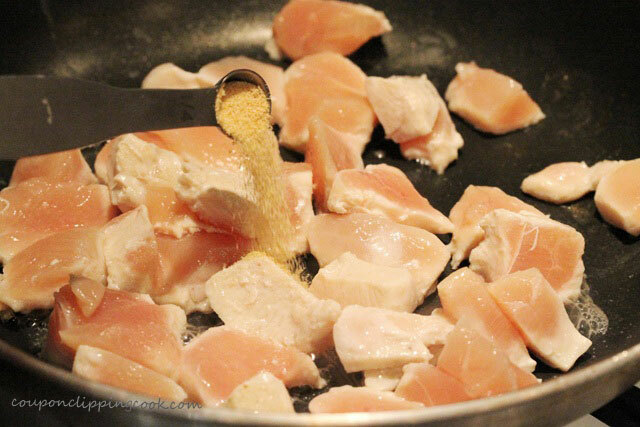 Stir together so that the pieces of chicken are coated with the spices. Continue to stir as the chicken cooks. 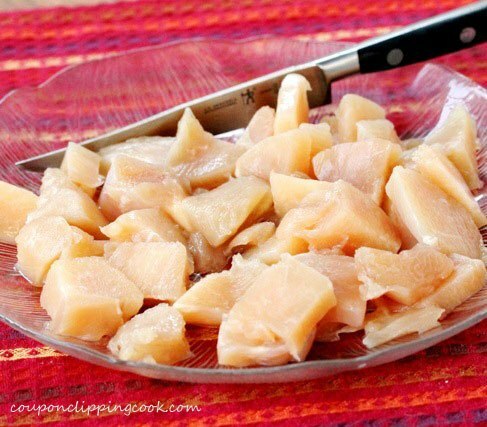 To the pan, stir in a little water or chicken broth until reaching the desired thickness. 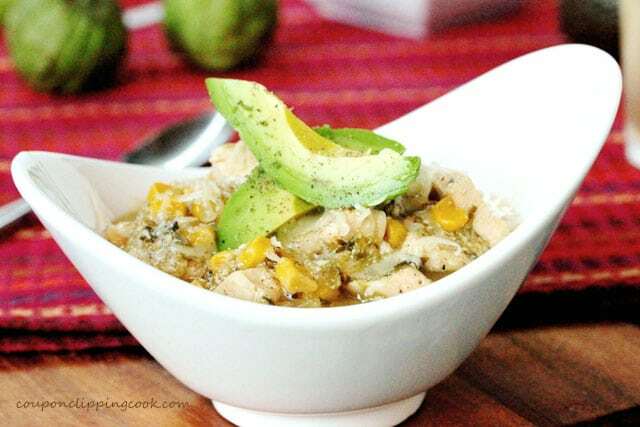 Serve warm by itself or over warm white or brown rice. Top with shredded jack cheese, slices of avocado, and a sprinkle of pepper. 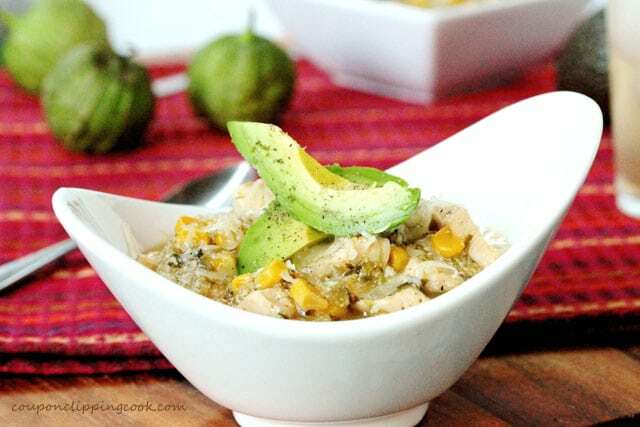 I love salsa verde anything…And a one pot meal is perfect for a lazy girl like me! Hi Kari, thank you so much for stopping by!